To find a good spot scouting is important as important as learning more about doves.. Go out and scout where does dove flies, their flight patters, sun and what time they start to fly. I do suggest doing this in afternoon before sunset and looking for not more than just one spot. Bring a binocular and study the field. Look for perching sites where doves sit just before landing in fields. Such spots usually consist of tall, though sparse, trees and can be found in overgrown mid-field fence lines or field "islands" of timber. Pick more than two spots that look promising this is just precautionary measures in case someone beats you. Remember the early hunter gets the spot and the birds. Keep in mind the great location won’t last long, some hunter’s might jealous and take your spot if you are at the field daily. Patiently watching the early birds fly is great tool in finding the best spot. Sitting a field edge and observe the shooting action of other sportsmen experience is a great help, learn from their experience and observe the dove flight paths. Close the gaps. Make sure to have yourself near a prominent dip or slot in perimeter timber whereas prevailing height of trees is significantly shorter. I do recommend to stand 50-75 yards gap out in the field so you able to see the incoming doves before they pass on. Look for dove magnet. Dove magnet are a hill or a high spot in field these areas are can easily be seen by passing doves and is a natural flight target for them. Take advantage in dirt. Doves love freshly plowed ground they are attracted on this specially grain field since these contains seeds and affords them un restricted view of their surroundings. 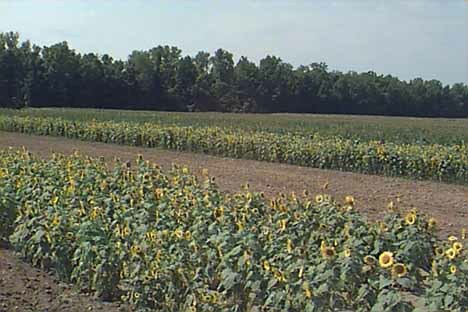 So look for a plowed ground beside a harvested cornfield or standing sunflowers. Hunt near water. If you there are ponds near field head on it in the late afternoon. Doves like to water before roosting. The best water holes have low, sandy banks without much brush, where doves can land safely, watch their surroundings and drink. Dove loves to flying down lines. There is dove habit that they love to flying down “lines” along the ground like standing in sunflowers, weeds along a drain, fences, power and telephone lines. Stake out the trees. This is the last option if you still need a bird or two for a limit. Look for large trees like pines near the fields. Doves loves to roost in such trees since this serves them as staging point before lying down into a field. Face where it is not directly in your eyes. Dove structure like trees to an old barn in the field or a staging are where dove hold until they leave to feed or water. A bare spot in the field can be a great place to find holding dove. Dove need to have a certain amount of gravel and sand in there diet. Dove usually go to water after they eat. If you take these points into consideration when scouting, or heaven forbid, just showing up to hunt, your chances of a successful hunt will improve greatly.